She says: “I can’t get this man to open up and talk to me!” He says: “All I constantly hear from her is about the things I do wrong!” Sound familiar? Cornelius Lindsey, founding pastor of Atlanta’s Gathering Oasis, has penned a bold word on the communication gap between men and women. 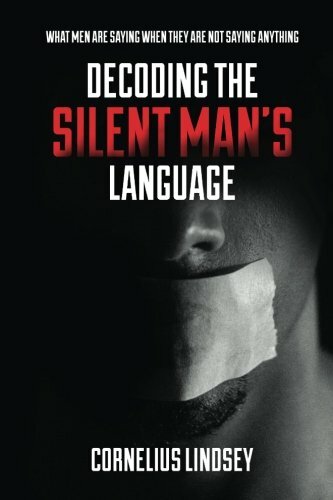 In Decoding the Silent Man’s Language, he draws from his conversations with married, engaged, and dating couples and delivers a roadmap to restoration and reconciliation. The male mystique is unveiled for women. For men, he uncovers what and who has hit their “mute” button. This is no soapbox rant. Readers will get a candid interpretation of relationship woes that also includes a transparent look at Lindsey’s personal experiences from childhood to adulthood that have shaped the man of God he is today. If you have any questions about this product by Cornelius Lindsey Enterprises, contact us by completing and submitting the form below. If you are looking for a specif part number, please include it with your message. By Brand: Ozark Mountain Publishing, Inc.